Behavioral Health Professionals licensed to practice in Minnesota must follow strict rules of practice governed by State Laws, Federal Laws and the professional rules of practice. 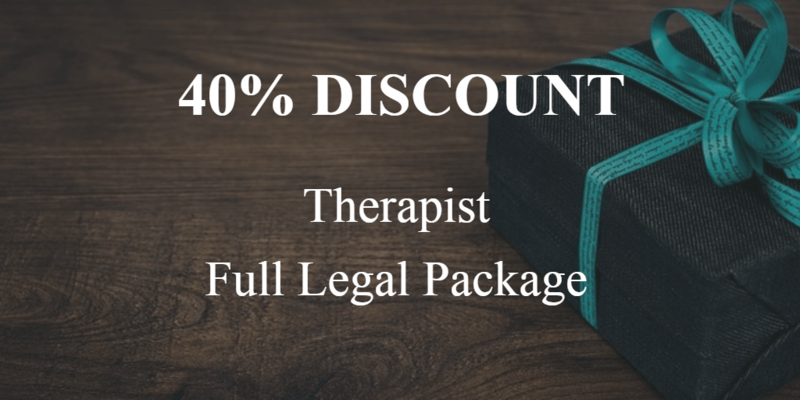 In addition, behavioral health practitioners are naturally exposed to a lot of liability and legal issues due to the sensitive nature of their clients as well as the high stakes for which their works depends on. Healthcare and business attorney David Holt has created a tailored legal package to protect behavioral health practitioners as they launch a successful practice. The last thing a medical professional should worry about is defending herself in court. Court costs for rule violations can easily cost 10x times the amount of this package ($15,000 would probably be a good deal in most cases…) Why risk your license and your professional career right out of the gate? Let an experienced healthcare and business attorney do all of the worrying for you so you can focus on what is really important, your patients’ health. This Notice (and consent) are required by State and Federal laws to clearly communicate how you will protect your patient’s protected health information. As a Healthcare Professional, there are noted exceptions to absolute patient privacy, which are clearly explained to the patient in this notice. This Agreement is used to hire Independent Contractors to help you with scheduling, marketing, billing and routine office tasks, generally used in conjunction with a Business Associate Agreement so you can focus on what makes your practice the most money: therapy. There are a few issues that need to be addressed when working with couples in therapy. This form addresses all of those issues and gets you on the same page with the couple so as to avoid any future tension and confusion.